High Intensity Interval Training as it was intended to be. Cardio, Strength, Power and Balance all performed on our game changing air surface. Sproing follows a Tabata style workout -- alternating sixty 20 second intervals of all out cardio, strength, power and balance intervals, followed by 10 seconds rest. Intense but short intervals give you the ability to go full throttle, stay motivated and achieve max results in less time. THE ORANGE ZONE. Burn up to 1,000 calories in just 45 minutes. How do we know? Because we actually measure it. Our heart rate based training allows you to push your limits to work your heart rate into a target zone (the ORANGE ZONE) that supercharges metabolism and increases energy--burning calories long after the workout is done. Sproing's Revolutionary Air Surface is 50% less impact than the softest treadmill, 66% less impact than pavement. Pain is not a badge of honor, it's the outcome of bad alternatives. 45 minute class featuring 30 minutes of High Intensity Interval Training like you never have done before. 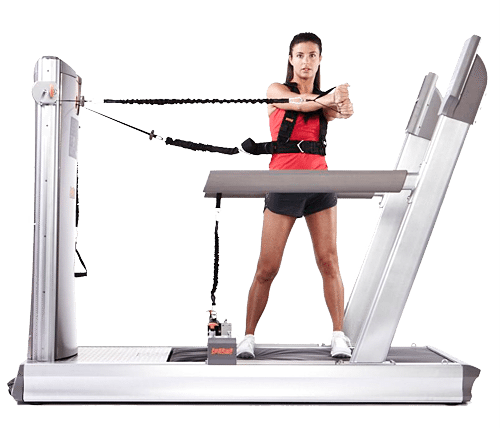 Running-based high intensity interval training (HIIT) using the revolutionary, soft surface Sproing Trainer. HIIT has been scientifically proven to provides maximum results in a minimum period of time. Creates maximum fat burning, muscle toning, and overall total body fitness in just a forty five minutes. HIIT stands for High-Intensity Interval Training. This form of training is the base of the Sproing Fitness workout and is comprised of alternating periods of short, intense anaerobic exercise with less-intense recovery periods. Hiit training is great for calorie burning , but it’s not a muscle sparing exercise. Hiit is a form of cardiovascular exercise which is beneficial to burning fat in a short and intense workout. 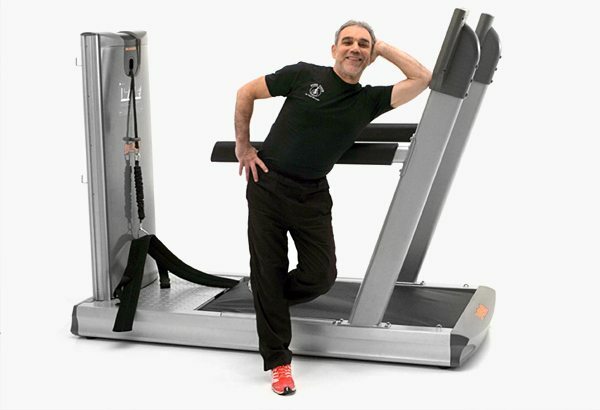 Basically, it is an exercise technique that is intended to get results/improve performance through short bursts of high intensity exercise and also improve your cardiovascular performance by increasing the amount of oxygen you can take during exercise. Hiit can also improve cardiovascular endurance, making workouts not only shorter, but easier. This training technique is far more effective as an endurance builder than a fat burner. Almost all the Crossfit workouts are also HIIT training routines. Hiit is not a replacement for weight training, though. It can be applied to aerobic and/or weight training exercises. Hiit is ‘interval’ training, where you go all out for 30 sec, and recover. Hiit is an acronym for High-Intensity Interval Training and can also be used for breaking plateaus, by changing from steady cardio to high intensity interval training. The concept of this training is training in time intervals, each interval at a varied toughness. Hiit training is a better fat loss method than prolonged cardio and also has the side benefit of being a short, albeit intense, workout thus delivering an intense workout every session. It is a difficult and challenging and demanding workout. Hiit is what it says… high intensity but the results are undeniable. Hiit cardio exercise will help keep muscle tissue in ways that low intensity cardio couldn’t and even promote anabolism and lean muscle tissue growth. Hiit is FOR people who want muscle gain. Hiit helps spare valuable lean muscle mass which is a key determinant of your RMR or Resting Metabolic Rate. Hiit is good because it involves running and exercises that get your heart rate going and keep it pumping. Hiit training is fine and all , and Im used to it. Hiit workout can be used by anyone – of any fitness level – regardless of your goals. Source: hiittraining.net – What is HIIT Training good for? Do you spend more than one hour on treadmill and jog? Do you feel proud to see that in one hour you burned about 1000 calories? There is a bad news for you, which is true but sad, because you daily spend extra time than what is actually required and in one hour you do not burn 1000 calories. If you think that cardio machines will tell you the exact amount of calories that you have burned in a day, then it’s time to change your thinking. These machines are really bad when it comes to estimate total calories burned in an hour. Even if you do intense exercise, maximum you will burn about 500 or 600 calories. Now you might be thinking what is the best way that will actually burn out calories? Answer is so simple, HIIT combined with regular state cardio. HIIT is also known as High Intensity Interval Training. It involves maximum effort periods mixed with reduced effort in recovery periods. For instance, you might do fast running for 30 sec. and walking for about 1 minute. The advantage of this form of cardio is that you will have a serious effect even after your exercise. This means your body will not stop to burn down calories even when you stop your workout. To use HIIT you need to consider few things because you can excess train something which do not happen with the constant state cardio. Constant state cardio includes doing aerobic activity with constant speed and for more time period. It can really help in burning down fat, but for that it should be performed for an hour may be 2 hours. If you are searching for a workout that is time efficient, it must only be performed in combination with high intensity interval training. The best thing with HIIT is it lets out fatty acids in bloodstream. Constant state cardio quickly burns fatty acids. If you think that without HIIT you will only try constant state cardio, it will take about 20 or 30 minutes only to start releasing of fatty acids. Only a short time HIIT workout can flood your bloodstream with the fatty acids which constant state cardio would easily burn. The perfect cardio routine should involve constant state cardio for 25 minutes and HIIT for 10 minutes and extra 10 minutes for lower intensity interval training. First, for about 2 minutes you should do little warm up and do sprints for 15 seconds along with jogging for 45 seconds. You should perform sprint which leaves you to catch your breath to increase levels of HGH. HGH is actually a hormone which burns down fat while storing muscle mass. To end the workout, you should do less intensity interval training which includes 1 minute of fast jogging and light jogging for 1 minute and then again for about 10 minutes. Doing this the remaining glycogen will also burn in your system so that your body burns more fat even after your workout. The High Intensity Tactical Training (HITT) program’s primary purpose is to enhance operational fitness levels and optimize combat readiness and resiliency for the United States Marine. While not directive in nature, HITT supports Commanders in their duties to optimize the combat readiness of their Marines. It complements other physical training Commanders/individual Marines utilize to obtain and maintain physical fitness. This comprehensive strength and conditioning program takes into consideration the physical demands of operational related activities in order to optimize physical performance while in combat. By implementing the latest cutting edge training methods and fundamental scientific principles, the HITT program focuses on enhancing athleticism for today’s tactical athlete – The United States Marine. Emphasis of the HITT program is on key components with relation to superior speed, power, strength endurance and overall combat readiness while reducing the likelihood of injury and ensuring that all Marines are physically prepared for combat. Sproing Fitness is unlike anything you’ve done before, so you’re likely to have some questions. No problem, we have the answers.